Club Picnic Sunday 10th March 2019. Another fabulous boating day for Wakatere but a different venue. 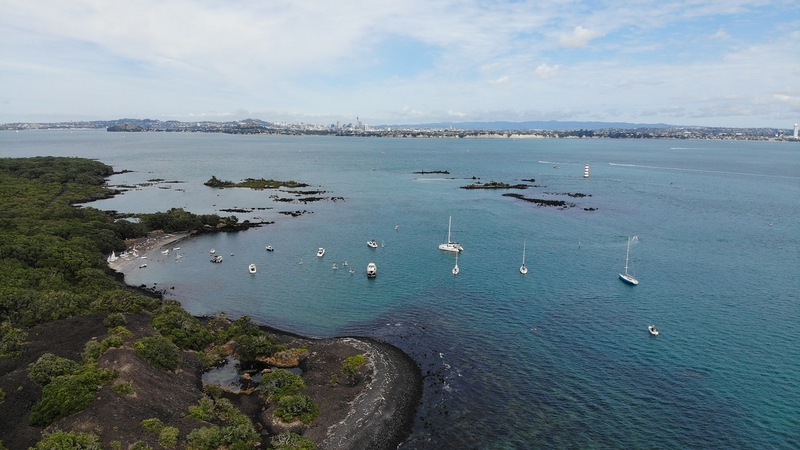 40+ sailors ventured across the channel to McKenzies Bay, tucked in behind the Rangitoto lighthouse. Optis, Sunbursts, OPros, Bics and sailboards had an easy reach across escorted by kind members who offered the non sailors a ride on their keel boats & launches. It was a great crowd. A few of the energetic ones made the hike to Rangitoto lookout to take in the panorama while others stuck to the water and organised their own races inside the bay. The father's sack race was an interesting event - the younger ones managed to dominate until a moments hesitation led to the dads all falling over. Three legged races, a lolly scamble and iceblocks completed the picnic theme with a sail home along the Takapuna shore. A great time was had by all, the sun shone and everyone went home fulfilled. Thanks to our big boat friends for their contribution to the day and to Bruce & Karen Yarnton for organising the event.